Another cardboard tube critter! This one is a little less cuddly than the raccoon, opossom or bear/dog. 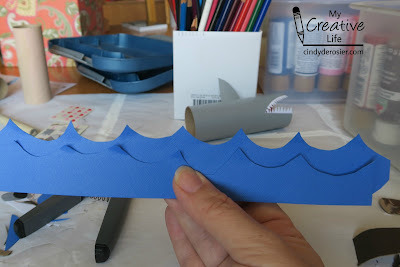 Begin by painting the cardboard tube grey and letting it dry. Cut a slightly curved triangle from one end to create the open mouth. The piece you cut out becomes the dorsal fin, so set it aside. 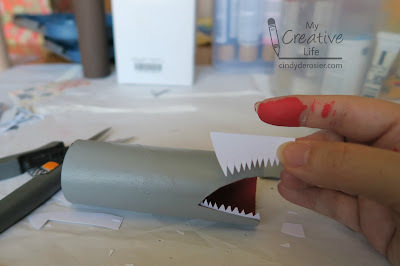 Dip your finger in red paint and rub it along the inside of the cut end of the tube. While it is drying, cut two sets of jaggedy teeth from white cardstock. The teeth should follow the curve of the cut you made in the tube. Glue the upper and lower teeth in place. Add the dorsal fin. Set it aside to dry. Cut scallops in two 12" strips of blue cardstock. Bend the tips of the scallops to mimic ocean movement and glue them together so that they're slightly offset. Cut a piece off the bottom of the cardboard tube to form a 45° angle. 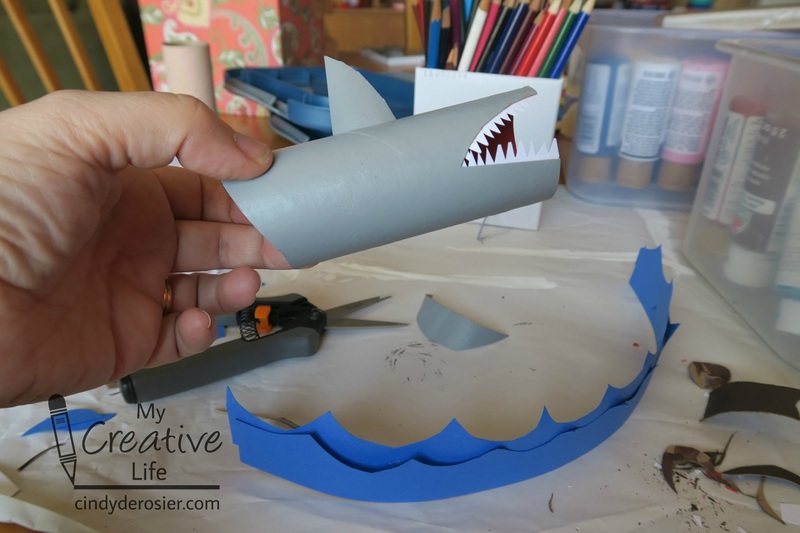 Use the cut scrap to make a pectoral fin and glue it in place. Add the googly eye. Bend the ocean into a circle and glue the ends together. Balance the shark inside the ocean. 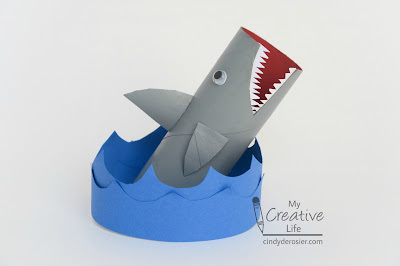 Any other animals you'd like to see made from cardboard tubes? Are you kidding me? This is so cool! I love it.